If you've been looking for a remodeled ranch featuring 3 bedrooms, 3 bathrooms, and a 2 car garage in a quiet neighborhood you can stop your search!! 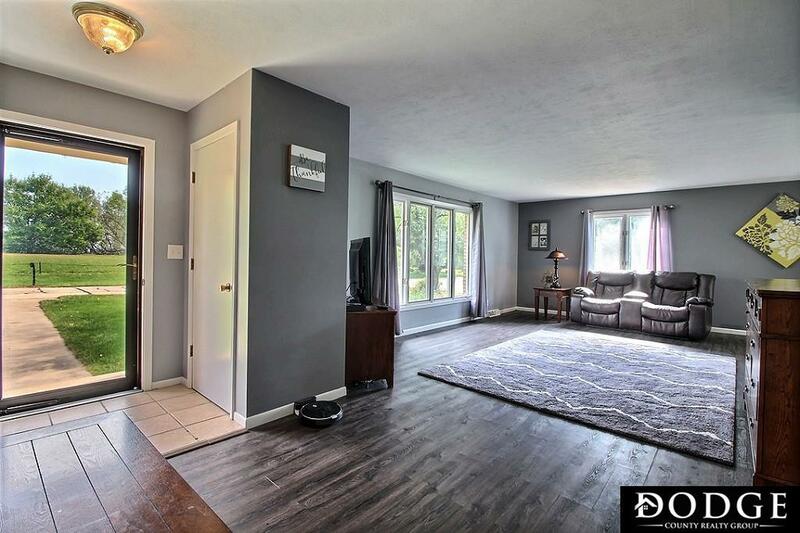 Upon entering the home, you'll find updated flooring and paint throughout and an open floor plan that includes a large family room and dining room. The main floor also features 3 bedrooms, 1 fully remodeled bathroom for guests, as well as a devoted master bath. The basement has an additional rec room and a large storage room. Outside, the home sits on a large corner lot with a spacious yard for outdoor activities as well as a secluded area that is enclosed by a privacy fence and an entertainment-sized deck that transcends the length of the home. FOR SALE SUBJECT TO A 48 HOUR RIGHT OF FIRST REFUSAL.